Very nice colours indeed, Master Milo. - But what is a "non-metal metal colour" ? This leaves me a bit puzzled. NMM technique is a painting technique where you never use classic metallic paint colors (iron, silver, gold, bronze,...). To obtain metallic effects you use only color tones. For instance, for iron, you apply many layers from black to white using greys between (look Mauhur cimetar for instance). This is much longer but allows much more shadowing on metallic parts. So this was my 1st try and I feel I will keep on going. 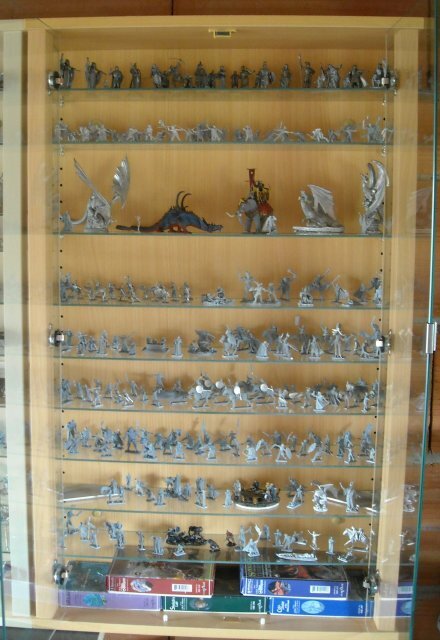 While celebration for my mithril collection and Ori's birthday is on-going, I took some pictures of my collection display as requested by Master Mornedhel. 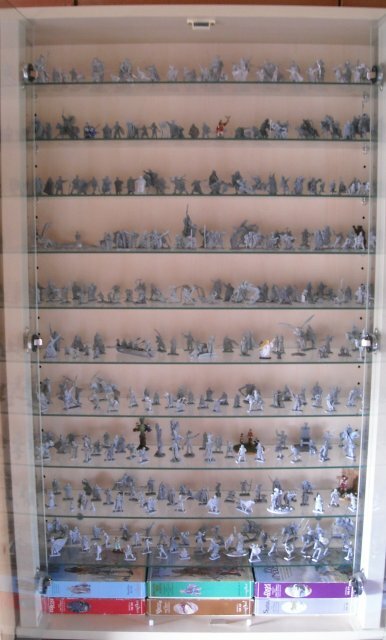 I have very few references (around a dozen regular ones) which are not settled yet in glass cabinets. I let you try to find out which ones. Ufff, years of painting work ahead of you, Master Milo. impressive collection !! how many are painted ? and for riddle.... well... no idea! you can keep the Ring ! 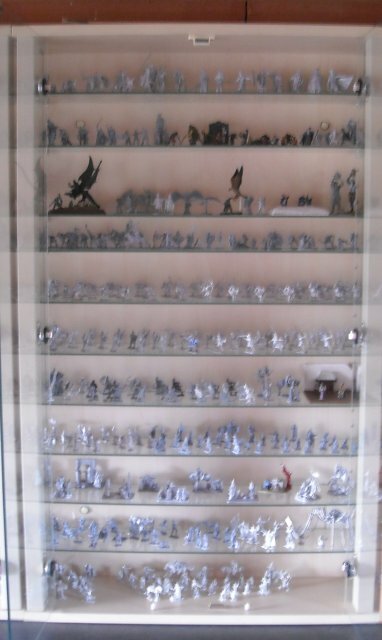 I have around a hundred painted minis, but most of them are in dioramas, not in these "collection" glass cabinets. By the way, early 1988, 1989 are all brand new (Except M16 unprimed). As all parts are still attached to base, I think I should not paint these. Very nice, Master Milo. 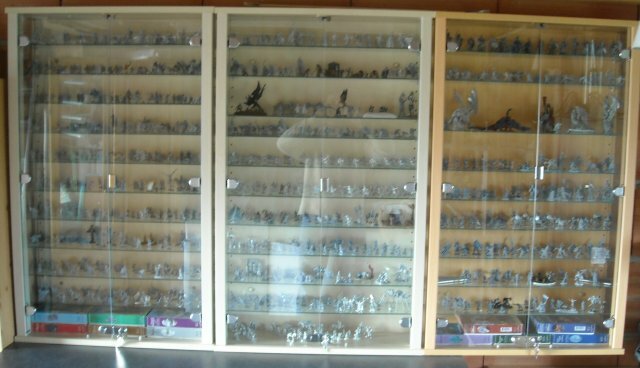 It's similar to the way I keep my collection on display. Yes, as Master Ori pointed out, there's a lot of painting still to be done. I have updated my gallery with new paintings I did thanks to Master Maenas painting league.